Winner of Best Tile Store in the Best of the Boro Competition 2016, 2017, 2018. WInner Best Kitchen & Bath Store in the Best of the Boro competition 2017, 2018. Thank you for your support! Tiles Unlimited provides the best quality tile for any kind of floor, wall, countertop or other finished surface for every budget. We offer an extensive collection of porcelain, ceramic, natural stone, glass and wood look tiles in our 5,000 square foot, multi-level showroom. 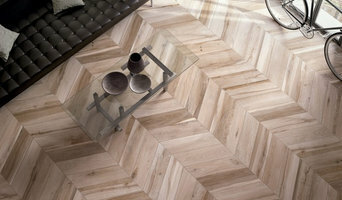 Homeowners, contractors, architects and designers love Queens' largest selection of tiles from all over the world. We have a large on-hand inventory for immediate delivery comprised of all types of tiles as well as installation materials, maintenance and cleaning products, tools and saddles. We also offer free design service to homeowners. Tiles Unlimited’s well trained tile consultants and design experts will walk you through the project and help you bring your ideas to reality. We take pride in our business, stand behind our products, and have earned our reputation as one of the fastest growing tile companies in the northeast. Tiles Unlimited - “Making a difference one square foot at a time". Portico Tile is a family-run business serving the Long Island community. We offer many beautiful collections that will have you falling in love with your home again. Let us help you design your space! Renaissance Marble Works delivers an outstanding finish to your home with the elegant beauty of natural stone. We specialize in natural stone fabrication, installation, and maintenance services. Fancy Fixtures offers the finest home design products from around the world.Since opening our doors in 1987, we have provided Long Island and Manhattan with the most innovative selection of ceramic tile, marble and stone. Zicana is a stone artisan that crafts luxurious, contemporary and classic materials into fine surfaces, home and lifestyle accessories. Zicana has been commissioned by some of the most prominent interior designers, companies and private individuals to deliver an unprecedented touch of class to the most refined spaces in the world. Zicana's work exhibits earth's most precious materials with an eccentric blend of class and sophistication. My name is Jeff and I have specialized in tile, stone & glass-tile installation on Long Island and in New York for over 28 years. My clients speak highly of my attention to detail, ability to see all jobs through completion, and creative/ outside-the-box solutions. My skills and years of work have given me the opportunity to have lots of experience working with high-end materials for medium to large-scale projects. In addition to residential tile, stone, and countertop installation, I also have experience performing commercial installations. Give me a call today for all of your tile, stone, and countertop needs, I look forward to working with you! Located in Seaford NY, our company fabrication facility features "State-of-the-Art" cutting equipment from Italy. Our Master Craftsman have extensive experience in the design, fabrication, and installation of marble and granite and provide prompt professional installations. Tile, stone and countertop projects might not sound especially complicated, but they can be surprisingly hard to get right. Seeking expert assistance can help homeowners save time, money and frustration. Contractors who specialize in this field are trained to install and repair tile and stone surfaces in your East Meadow home, from flooring to backsplashes, as well as countertop materials such as solid surface, granite and marble. In addition to basic surfaces, many East Meadow, NY tile, stone and countertop contractors can create and install murals and mosaics, as well as add decorative edge treatments to countertops. They also repair or replace surfaces in the event of chips, cracks, stains or other damage. Many tile, stone and countertop professionals also install shower pans, radiant-heat flooring systems and other common components of surfacing jobs, often working in tandem with East Meadow, NY plumbers or other professionals. Here are some related professionals and vendors to complement the work of tile, stone & countertops: Interior Designers & Decorators, Architects & Building Designers, General Contractors, Kitchen & Bath Designers, Design-Build Firms. Find a tile, stone and countertop contractor on Houzz. 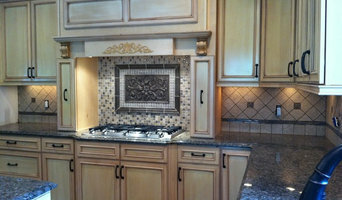 Narrow your search in the Professionals section of the website to East Meadow, NY tile, stone and countertops. You can also look through East Meadow, NY photos to find tile, stone and countertop projects you like, then contact the contractor who worked on it.